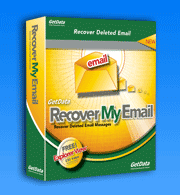 Recover Email: Learn how to recover deleted or lost email with Recover My Email video tutorials. Please click on the following links to show|close the swf tutorials. More flash tutorials coming soon.